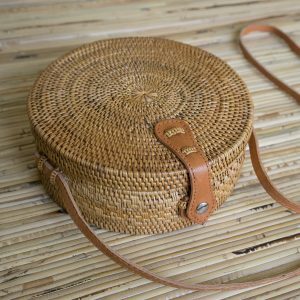 How are Bali round rattan basket bags are made? 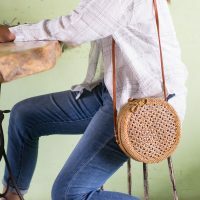 Home » Journal » Journal » How are Bali rattan basket bags made? Bali bags? 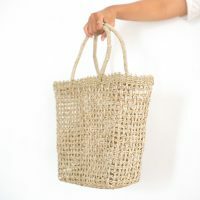 Basket bags? 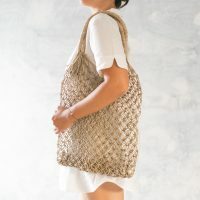 Rattan bags? 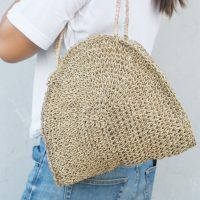 Wicker bags? What do people call these things? Wait, isn’t that one of the spells from Harry Potter? Haha, no. It’s the name of a plant species. 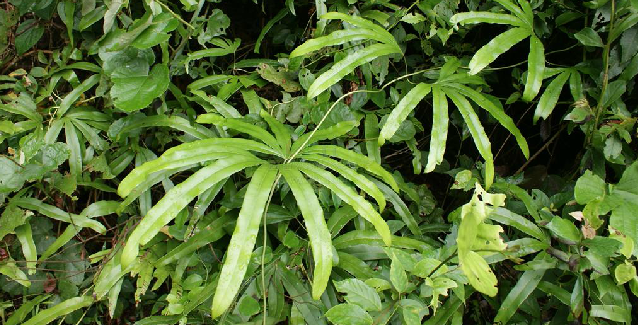 Here in Bali we call the plant ata, or sometimes hata depending on where you’re from. 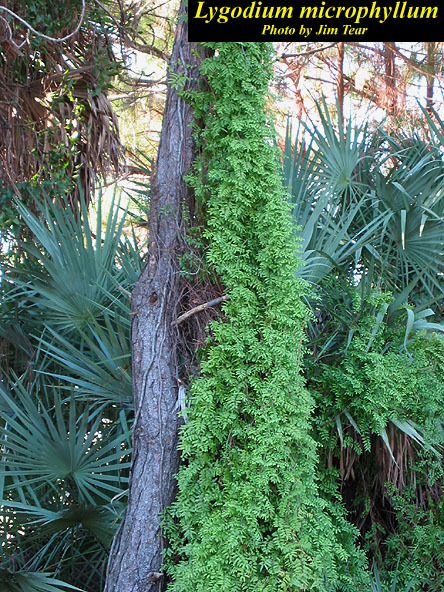 It’s a type of climbing plant that is somewhat related to the fern family, and grows throughout Southeast Asia and parts of China. The wingardium leviosa lygodium family are fast-growing, to the point that in parts of the United States such as Florida and Alabama, relatives of the ata, the Japanese climbing fern (lygodium japonicum) and Old World climbing fern (lygodium microphyllum), has been classified as a problematic invasive species that displaces other native flora. 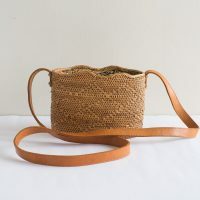 The Balinese people have long used the leaf ribs and stalk of the ata plant as a source for making ropes, but since the development of synthetic materials they now primarily use the material to weave baskets and other wares. 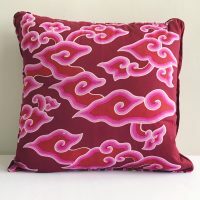 Demand for the resource in fact has been so high that other regions in Indonesia such as parts of Java have been able to export ata vines to Bali so that the skilled artisans here have a steady supply of raw material for them to ply their craft. The process of making the bags is very time-consuming. The ata vines have to be properly conditioned, then they are woven into shape, a process that could take one skilled artisan a month to make just one bag. 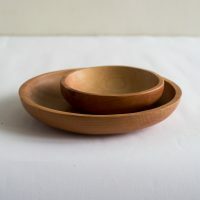 The product is then dried and smoked in ovens, which give the baskets their distinctive color and patina. There we have it. The ata bag. Looks pretty cute, doesn’t it? In the end, the fruits of their effort is very well worth the long, arduous process. 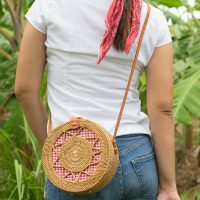 Each bag is unique, stylish, fun to use, and are very sturdy and well-made. We hope that this post has given you some more insight into our products, and also convey to you the extreme pride we have in bringing them to you. 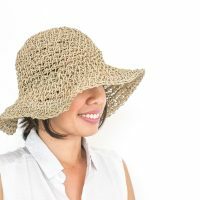 Hi …are the rattan bag straps leather? 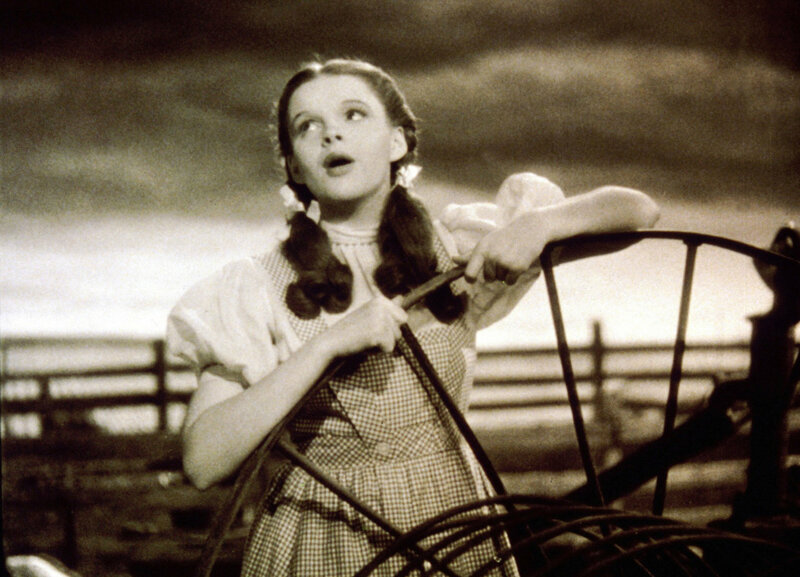 Hi Denise, thank you for your interest in PolkaDee! 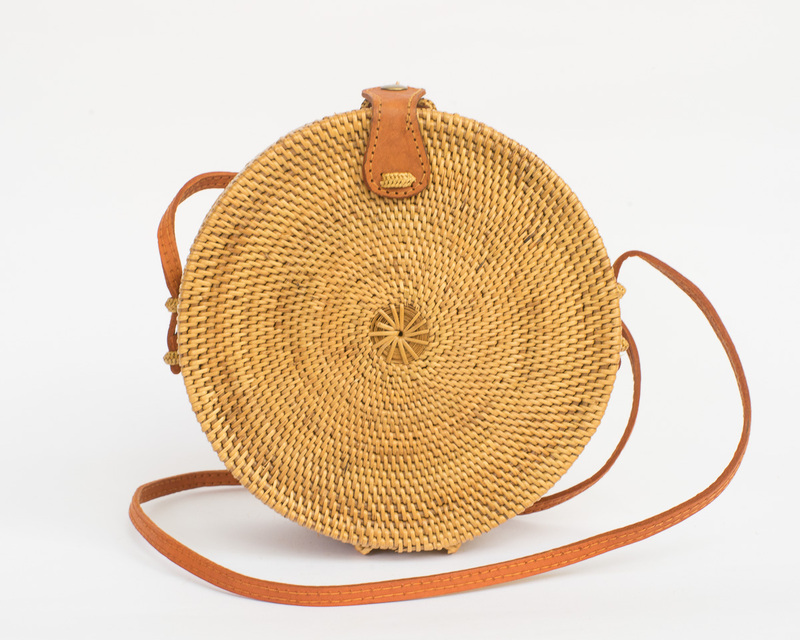 Yes, the straps on the rattan bags are made from leather. Next post Jane Birkin’s iconic, timeless, casual chic style.